First off, let me just say I love the original Voltron. It begat my love for robots that combine into bigger robots. 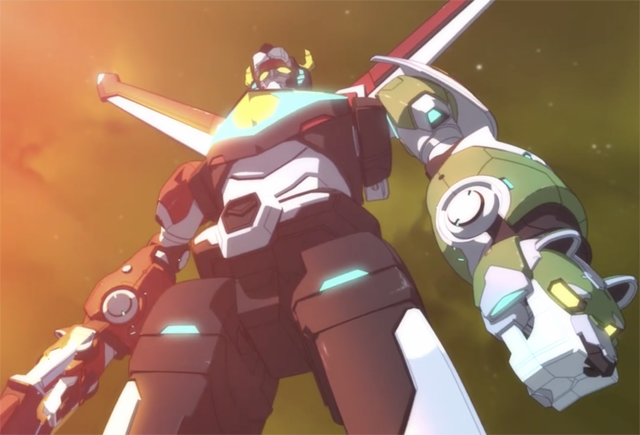 So when Voltron Legendary Defender was announced, I was both excited and apprehensive at the thought of a reboot. But when the show was released to Netflix back in June, I was pleasantly surprised at how much I enjoyed it. In fact the only qualms I have are that the original theme song isn't used, and that it ends on a cliffhanger. Which makes this teaser trailer for Season 2 all the more important to resolve that cliffhanger! Sadly there's no definitive release date as the trailer just ends with "Coming Soon." Here's hoping that's sooner rather than later.